At first look, Magicka appears to be another run-of-the-mill RPG, but after further investigation you will find an original action game with interesting and demanding strategies. Your Wizard will have the ability to control 8 elements with the tap of a button. As you tab the power charges up and you can wield amazing destruction on your enemies, but thats not the end of it... You can combine any of the 8 elements to construct your own combination. Want to shoot boulders of fire? Back to the Future by Telltale games is an adventure based off the movies except the story sidetracks into a whole new 1930's era where we meet young Doc and learn how he became the amazing scientist. From there the plot unfolds into many different direction as time travel creates many different layers to complicate everything. Needing some Nostalgic games back in your life? When was the last time you played Doom II, Hexen, Heretic or Warcraft? DOS Box is a PC emulator which allows MS-DOS games and programs to be run under other operating systems. It was designed with PC gaming in mind, but should also run other DOS programs. 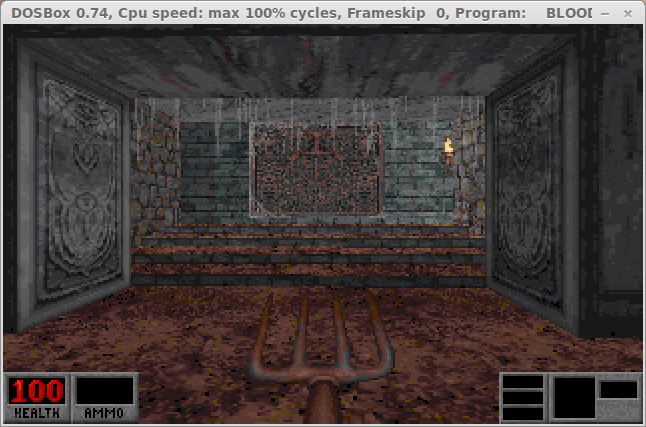 This step-by-step guide leads you through installation of DOSBox and Blood in Linux.